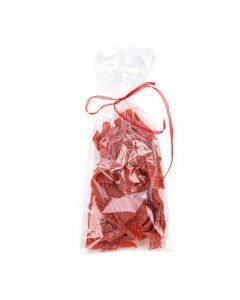 (FCB) Crinkle Bags are also thinner, 1.2 mil, Bopp bags. 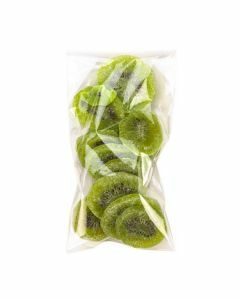 Crinkle bags are not gusseted but are Crystal Clear and the 1.2 mil thickness makes them easy to handle and great as bags for stationery sets, smaller gifts and other goodies. Our FCB3 Flat Crinkle Bag measure 7" x 14" and work great for bulk packaging, theme kits, and for irregular-shaped items. 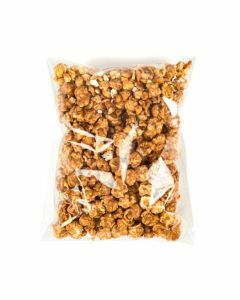 Bulk items such as popcorn, chocolate-dipped pretzels, and chips are right at home in this bag. Bag can be dressed up with a ribbon or heat sealed to close.